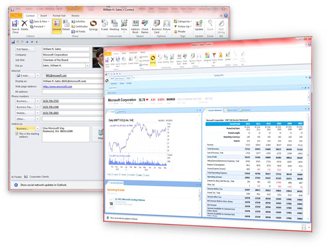 "Leverage your Microsoft Outlook with the Synergi Add-In. Providing A Solution. Making Life Simpler For Every Industry"
Synergi leverages web based information systems and creates a more robust overall solution, defined by user workflow. Synergi believes in IaaS (Information as a Service) . Our goal is to get the information needed to the right people at the right time. Manual intervention for exception handling, searching for information that should be at their fingertips. Today's business professionals need to be able to process more information than ever before in order to stay competitive. No longer is it possible to manage a large database of clients simply using client relationship software; CRM’s are but one of the many tools needed to track critical business processes and data in context. If the goal of this ever-expanding toolbox is to allow for better workflow management and improved productivity, then we are failing to reach it. It never fails that right in the middle of a task the phone rings, and another task begins. You need the ability to go to that next task with all the relevant information without having to alt-tab through applications? Sign up for a free trial of Synergi to see for yourself how much easier life can be.